7 cars made up the field for the expert class this week, including “Bad” Brad Hoyt who hasn’t raced much lately. After falling behind by a lap to Leonard Strand after the first segment, I was able to take the lead after segment number 2. I also noticed Leonard”s car not working quite as well as he would like. At the midway point in the race is where Brad Hoyt started to make a strong charge to the lead. Fortunately for me he kinda ran out of time and I was able to win the race. Leonard finished in second (with an erratic car) and Brad finished 3rd. 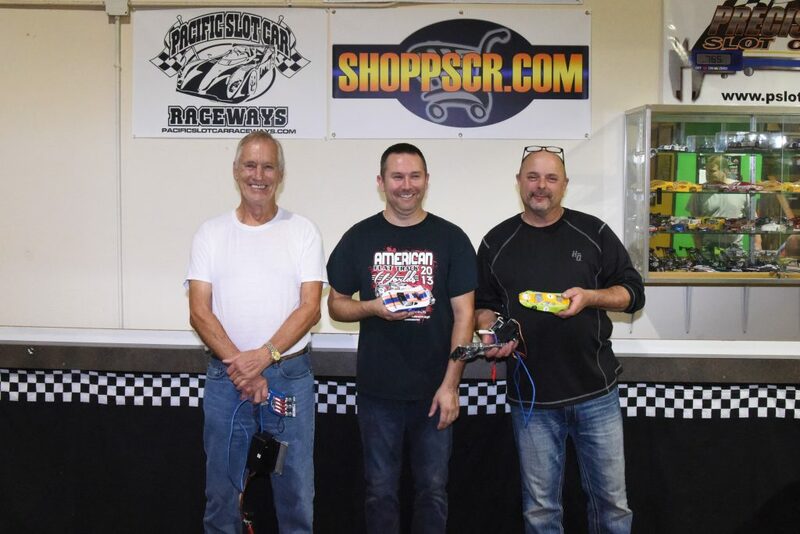 One of the things that makes slot car racing unique is the fact that for the most part no two races are the same. Each race calls for a tweak to your strategy for success, and often it happens during the race.